Peoples have always migrated and taken their languages and stories with them. Moreover, languages and cultures are almost never confined to one geographical area or one nation. This year, the Oxford German Olympiad explores German peoples, language and culture beyond the borders of Germany. Here are some questions you might want to think about. During the 1880s, many European countries looked to Africa to extend their power and influence, including Germany. Before this time, Germany was not really a colonial power, but during the 1880s it acquired territories in modern day Ghana, Cameroon, Nigeria, Burundi, Togo, Namibia, and many more African countries. 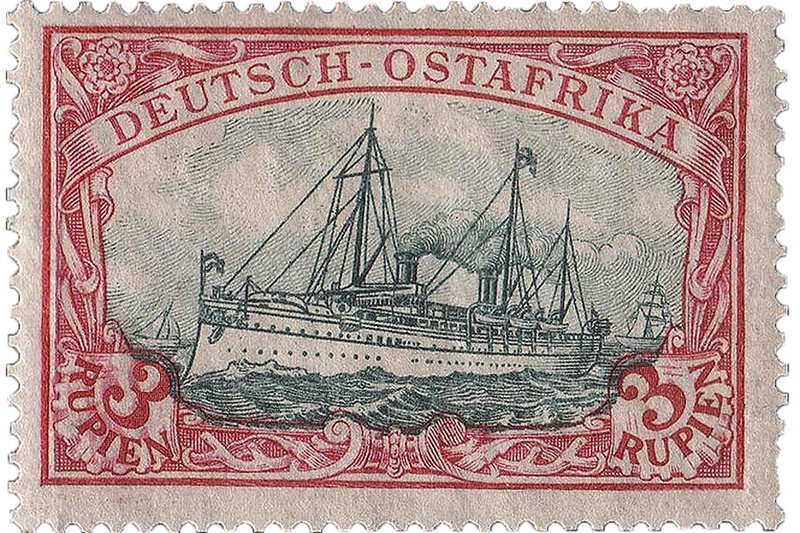 In part, this was achieved through commercial activities, such as those of the German East Africa Company. Germany lost control of these areas as a consequence of its defeat after World War I. As with other colonial powers, Germany's legacy in these areas is a mixed one and was not immune to genocide and rebellion. However, these areas were also recognised for their scientific potential in the areas of biology, agriculture and medicine. Research centres were set up and immunisation programmes established: the bacteriologists Robert Koch and Paul Ehrlich both conducted extensive research in Africa. 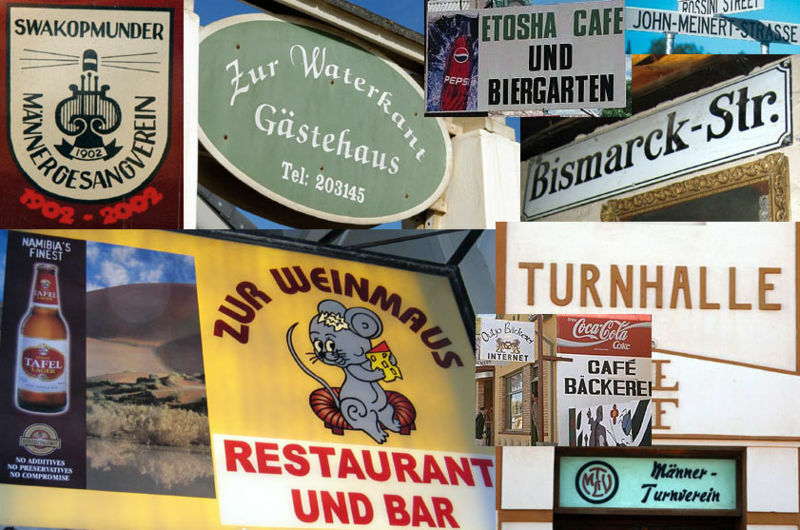 Above: Street signs from Windhoek, Outjo, Swakopmund and Lüderitz in Namibia. Click on the image to find out more about Lüderitz! Traces of German are still evident in the former German colonies, for example, in place names like the town of Lüderitz in Namibia. Indeed, German is still recognised as a national language in Namibia and tens of thousands of Namibians speak it either as a first or second language today. The literary work of award-winning Namibian-born author, Giselher W. Hoffmann (1958-2016), looks at the history of the peoples of Namibia. At least one million German speakers live in Latin America. There are German speaking minorities in almost every Latin American country, including Argentina, Belize, Bolivia, Brazil, Chile, Colombia, Costa Rica, Dominican Republic, Ecuador, Guatemala, Mexico, Nicaragua, Paraguay, Peru, Uruguay and Venezuela. Berlin, Germany? No - Berlin, Bolivia! German immigrants, particularly Mennonite settlers, began to arrive in Bolivia in the 18th century, and many more arrived in the 19th century. Some interesting names can be found there as a result. Take, for example, the names of footballers Ronald Tylor Rivero Kuhn and Erwin Sánchez. And did you know that there are more “Berlins” in Bolivia than in Germany? Seven of them, in fact! 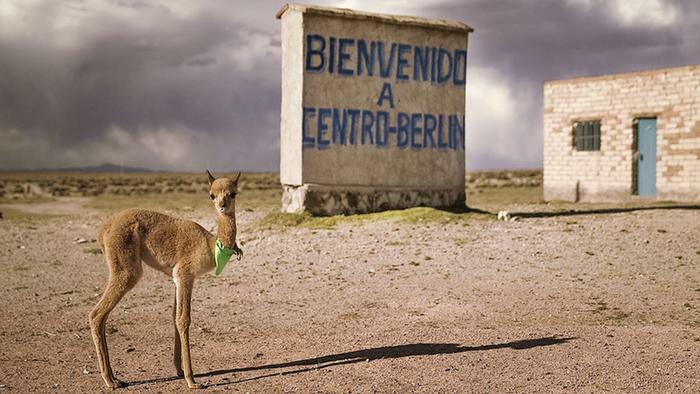 Click here to find out about Centro-Berlin, which contains more llamas than people! Amish and Mennonite communities in the USA speak a dialect called “Pennsylvania German”, which has its roots in the dialect spoken in the Palatinate area of Germany and which is, interestingly, also known as “Pennsylvania Dutch” (Dutch is not used to refer to the Dutch people here, but to Deitsch or Deutsch). Bernese German, a sub-dialect of High Alemannia German, is spoken by Amish in Adams County, Indiana. Communities both in the U.S. and Canada speak Hutterite German, based on the Austro-Bavarian dialect that used to be spoken in the Tyrol in the mid-18th century - so it's very different and not always easily understood by somebody who speaks, for instance, Pennsylvania German. Click on the image above to watch a video tutorial and learn some Pennsylvania Dutch phrases! Following the mass emigration from the German Palatinate and neighbouring areas to Pennsylvania from the 1680s onwards, German became the second most widely spoken language in the United States. It was spoken so widely that German newspapers, churches, schools and businesses flourished until the early 20th century. During the First World War, the use of German was strongly suppressed, however, leading to the decline of German and its use became limited mainly to Amish and Mennonite communities. Even so, around 1.38 million people in the United States speak German today, while in North Dakota it remains the second most spoken language! 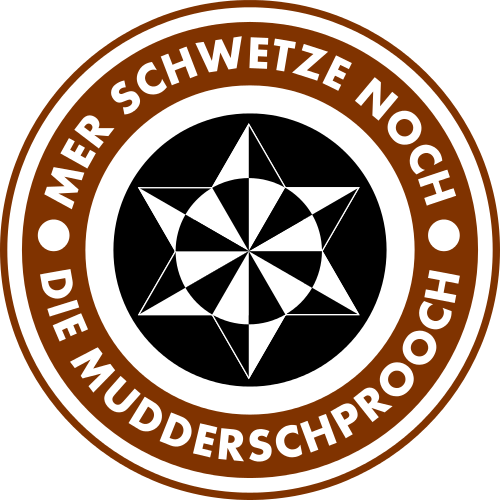 This is, however, not necessarily the kind of German known as ‘Hochdeutsch’, but a variety of dialects. Click here to see a map of reported ancestries in the USA according to the 2000 census. Several regions and cities in the USA are well known for their German heritage, including Northern Kentucky, Milwaukee, Cincinatti, Cleveland and Indianapolis. In 1880, about a third of Milwaukee’s population was of German extraction. In some areas it was common to hear more people speaking German than English, so that some stores even had signs in their windows that said, “English Spoken Here”, to make sure that people who did not speak the language knew they could shop there. One important place where Germans gathered was Turner Hall – known in German as the Turnverein – a club where people gathered to exercise and socialise. Turner Hall still stands on 4th Street in Milwaukee (click on the image above to find out more). 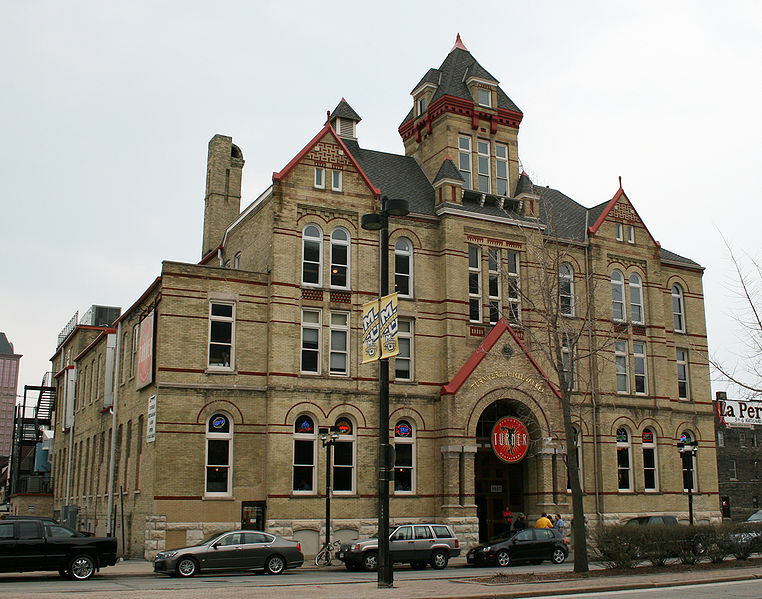 Although the German speaking population has decreased in Milwaukee – as it has in other parts of the country – today’s Milwaukeeans still regularly celebrate the so-called German Fest, while the city’s Old German Beer Hall, called Hofbräuhaus like the famous prototype in Munich, serves interesting interpretations of German cuisine like “Pig wings” or Chicken Schnitzel. Skunk, Stinktier oder stinkkatz? Click the image to hear some Texas German! In the mid-19th century, thousands of German immigrants settled in the newly annexed state of Texas, especially in small towns like New Braunfels, Boerne and Fredericksburg. In those days German was Texas's dominant secondary language. As the national reputation of Germany suffered in the wake of the Second World War, however, fewer parents passed on the traditional dialect of Texas German to their children – a development which has continued until today. Very few new native Texas German speakers are being born, and the few that still exist are all in their 70s and 80s. So the dialect is predicted to be completely extinct within a couple of generations. You can watch a short documentary about Texas German here. Hans Boas, a linguistics professor at the University of Texas at Austin, has founded a project to preserve Texas German, or at least slow down the process of extinction for as long as possible: the Texas German Dialect Project. According to Boas, Texas German sounds like an anglicised version of 19th-century German. 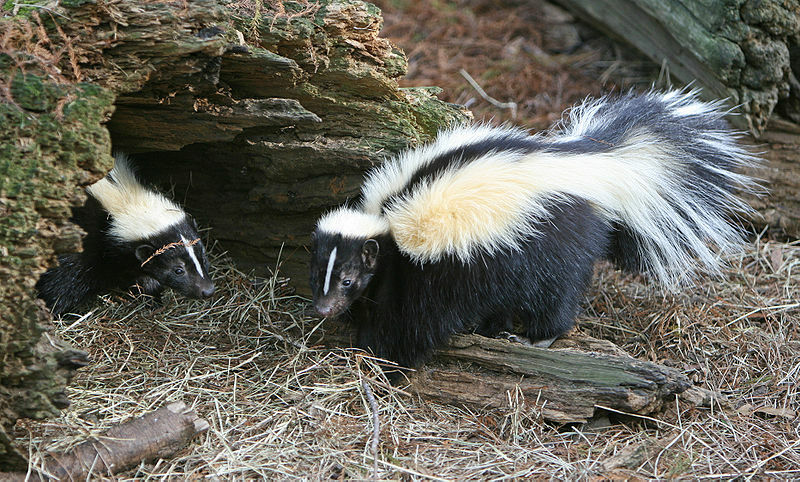 For instance, the first Texas German settlers didn't have a word for the skunks they encountered in the South, so they had to come up with their own: stinkkatze, which literally means “stink cat”! Click on the image above to listen to Texas German, Vernell, speak her native dialect - see if you can understand what she is telling us about her life. English has borrowed German words in all kinds of areas. Some of these have become a natural part of everyday English vocabulary (angst, kindergarten, sauerkraut), while others are primarily intellectual, literary or scientific (Waldsterben, Weltanschauung, Zeitgeist), or used in specialist fields, such as “gestalt” in psychology, or “aufeis” and “loess” in geology. Some of these German words are used in English because there is no true English equivalent, as is the case with gemütlich or schadenfreude. What other loanwords can you think of? 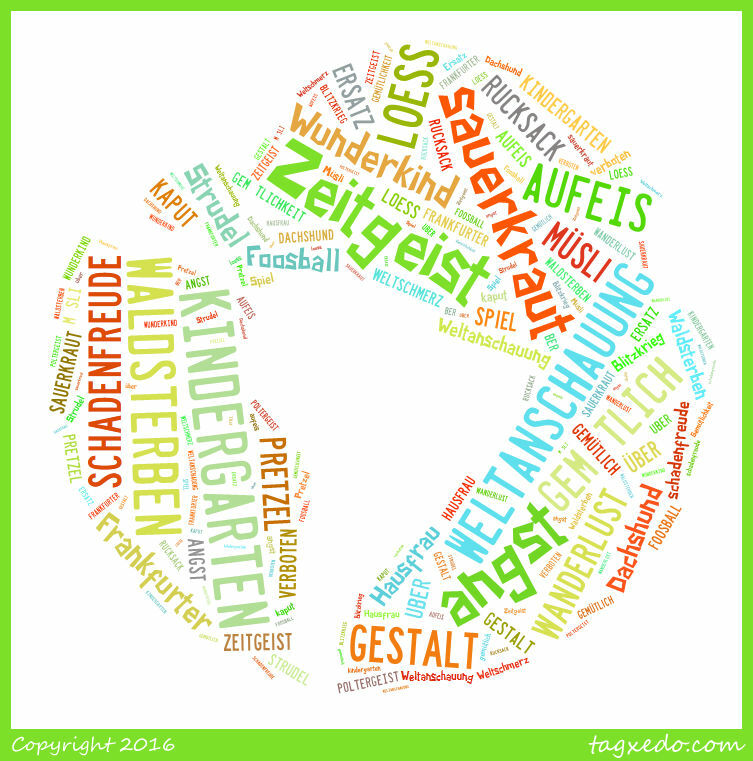 Click on the wordcloud above to learn more German loanwords in English! “Swiss German” varies from region to region and there is no such thing as a standard spelling. So every writer of Swiss German can, to some extent, create his or her own language, which is dependent on the precise location of the writer. Today, poems are increasingly being written in dialect again, especially by spoken word artists and slam poets. Find out about some great modern Swiss poets and watch them perform their poetry here! Why not try learning some Swiss German phrases? Take a look at this glossary of easy and useful phrases - and if you need some help with pronunciation, check out this video of basic greetings in Swiss German. Dialektliteratur or Mundartliteratur is characteristically composed in the dialect of a specific region instead of standard or High German. The Austrian poet HC Artmann is probably most famous for his early poetry collection, which he wrote in Viennese dialect, although he also wrote a great deal in standard German. His collection, med ana schwoazzn dintn (meaning “mit einer schwarzen Tinte”/“with a black ink”), was published in 1958. Many of his Viennese poems are characterised by grotesque, sometimes morbid imagery and themes, like the poem in this link. He shows that poetry written in German dialects are far from "quaint" or less formally and thematically ambitious. Find out more about HC Artmann's poetry and read some samples of his work here! H.C. Artmann is also part of Round 2 of the Olympiad! To find out more, read the entry guidelines and the poems here (you'll need to submit your entry here). Native German-speakers all over the world! The model Heidi Klum now hosts a number of TV shows in the USA, perhaps most notably the fashion design competition Project Runway, where she is known for eliminating candidates by saying “Auf Wiedersehen”. In fact, “to be auf’d” has now established itself as a synonym of “to be fired”, at least on the show. Jürgen Klopp, formerly the very successful and expressive football coach of German club Borussia Dortmund, is now having a good time in Liverpool! And of course you’ll find German football players all over the world. But how many of these other native German-speakers who left their home country to live and work elsewhere have you heard of? Fritz Lang (film producer), Carl Laemmle (founder of Universal Studies in California), Matt Frei (journalist and newsbroadcaster), Martin Roth (former director of the V&A museum), Arnold Schwarzenegger (former bodybuilder, ‘actor’ and governor of California), Marlene Dietrich (actress, cabaret artist, singer), Romy Schneider (actress), Diane Kruger (actress), Christoph Walz (actor), Daniel Brühl (actor), Nina Hagen (singer), Nico (singer), the British Royal Family, Liselotte von der Pfalz, Theodor Adorno (philosopher), Albert Einstein (physicist), W.G. Sebald (writer), Hans Holbein (artist),... Can you think of any more?